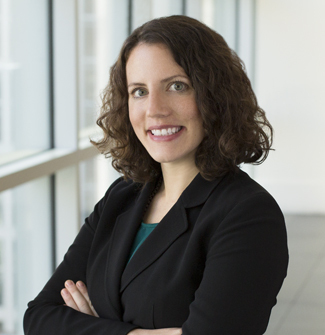 Kathryn (Katie) Grzenczyk Mantoan is Of Counsel in Orrick's Employment Law & Litigation group, working across the San Francisco and Portland offices. She focuses her practice on high-stakes employment litigation, compliance counseling, and litigation avoidance measures. Her practice has a particular emphasis on complex class actions and developing areas of the law including pay equity, and she co-chairs Orrick's Pay Equity Task Force. Katie received California Lawyer’s Attorney of the Year Award in 2016 and has been named a Northern California Super Lawyers Rising Star every year since 2013. She regularly writes and publishes on equal pay developments, and has presented on the topic to three separate state bar associations. Katie started her career at Orrick in 2004 and returned in 2015. From 2011 to 2014, she was an associate at a litigation boutique in San Francisco where she handled employment and constitutional law matters. On August 28, 2018, a judge in Los Angeles County Superior Court issued one of the first decisions – if not the first decision – on a motion to certify a putative class action under the state’s revised Equal Pay Act, Cal. Labor Code § 1197.5 (“EPA”). See Bridewell-Sledge, et al. v. Blue Cross of California, No. BC477451 (Los Angeles Sup. Ct. Aug. 28, 2018) (Court’s Ruling and Order re: Pls.’ Mot. for Class Certification). Specifically, the court denied the plaintiffs’ motion to certify classes of all female and all African American non-exempt employees of Anthem Blue Cross California and related entities. The complaint alleged both violations of the EPA, as well as discrimination in promotions and pay in violation of the Fair Employment and Housing Act (Cal. Gov. Code §12900 et. seq.). Expert testimony played a key role in the briefing and the court’s decision. Plaintiffs attempted to use statistical evidence to establish there were common questions about the legality of pay and promotion decisions, and argued the claims were amenable to classwide treatment and common proof. The court allowed Plaintiffs a second round of briefing after concluding they did not receive education, training, and performance-related data for their initial expert to include in his analysis. In the supplemental round of briefing, however, Plaintiffs tendered a different expert who chose not to make use of the acquired data. The trial court concluded that neither of Plaintiffs’ experts had appropriately grouped together similarly situated individuals across the entire putative classes. A plaintiff does not state even a prima facie case of an EPA violation unless she can show that she was paid less than another employee of a different gender, race, or ethnicity for “substantially similar work, when viewed as a composite of skill, effort, and responsibility, and performed under similar working conditions.” Cal. Labor Code §§ 1197.5(a) (gender), (b) (race or ethnicity). The court found that Plaintiffs failed to furnish evidence that could make that showing across the entire class. Plaintiffs’ experts grouped individuals by EEO job group, which assigned Anthem’s greatly varied jobs into only 10 categories, with over 80% of individuals falling into just one EEO job group (office and clerical). The EEOC web site itself describes this category broadly to include office and clerical work regardless of level of difficulty. Both experts also ignored Anthem’s grouping of jobs into job families, which clustered jobs by function and responsibility and greatly narrowed the breadth of the groups. The Court found Plaintiffs’ statistical models thus crucially rested on faulty assumptions by assuming those who shared an EEO job group were comparable. To demonstrate, the court pointed to various Anthem jobs, vastly different in nature, which shared the same EEO job group. For example, dental services analysists and office clerks were in the same EEO job group even though Anthem required dental services analysts to have a bachelor’s degree and two years of experience, while Anthem only required a high school diploma (and no prior experience) of office clerks. The court also looked to market trends as evidence of the different pay typical of these vastly different positions, noting that market research data indicated that nationwide median pay was $47,900 for dental analysts but only $28,200 for clerks. As another example, a nurse practitioner and accounting operations manager, earning $93,000 and $166,400 at Anthem, respectively, shared the same EEO job group and were treated as similarly situated in Plaintiffs’ models, even though one worked in the finance department and the other in the physicians’ and nurses’ department. The court found the expert models did not properly analyze pay rates of putative class members and juxtapose those against employees who performed substantially similar work. Thus, the court concluded it could not rely on Plaintiffs’ models to assess violations on a classwide basis but would instead have to make individualized inquires as to who were truly comparators under the EPA. Even ignoring the reliability problems, the court noted that Plaintiffs’ final statistical model showed no pattern of underpayment of women and no statistically significant disparity for five of the eleven years of the class period. Defendant’s statistical model, on the other hand, controlling for Anthem job family to reflect similarly situated positions based on actual jobs, showed that there were no statistically significant disparities for 10 of the 11 years of the class period. The court noted that Plaintiffs’ models—particularly when juxtaposed with Defendant’s more refined analysis—highlighted “the inherent problem in treating [the] case as a class action” because the evidence showed “individual [Anthem] job titles within [an EEO] Job Group can be vastly different.” The court explained the upshot was that it would have to conduct highly individualized assessments of each member of the putative class to determine liability, and that Plaintiffs’ statistical models did nothing to cure the problem. This case serves as a reminder that even under California’s EPA, one of the nation’s most employee-friendly equal pay statutes, plaintiffs cannot skirt the requirement that comparators must perform substantially similar work, when viewed as a composite of skill, effort, and responsibility, and performed under similar working conditions, and that poorly-constructed statistics are insufficient on their own to furnish common, classwide proof of discrimination. Orrick will be tracking developments in this and other EPA cases and putative class actions. Plaintiffs also alleged unfair business practices violations (Cal. Bus. & Prof. Code §§ 17200 et. seq.). Companies operating in the “on-demand” or “gig economy” have enjoyed tremendous success in recent years, as emerging technologies and shifts in consumer tastes have buoyed their growth. These companies span a cross-section of industries (transportation, food delivery, lodging) but have one thing in common: each aims to deliver traditional services more efficiently by connecting consumers directly with service providers. But as we all know by now, success often begets legal challenges. Take Uber, for example. The company has faced a thicket of litigation in recent years, most notably related to the question of whether its drivers are employees or independent contractors. This past March, we blogged about the U.S. Supreme Court’s decision in Bouaphakeo v. Tyson Foods, Inc., 136 S. Ct. 1036 (2016), a case in which the plaintiffs alleged that Tyson Foods improperly denied compensation for time spent putting on and taking off required protective gear at a pork processing facility. At trial, the plaintiffs presented experts who, based on sample data, determined the average number of minutes employees likely spent donning and doffing and the aggregate damages that would be owed to the class as a result.